The U.S. aluminum industry’s expansion in the 1950s and 1960s paralleled the economy’s growth. As the new player in the industry, the Anaconda Aluminum Co. began by expanding downstream by building or acquiring fabrication plants in the 1950s. That was followed up by investments in bauxite and alumina resources during the 1960s. The company declared itself vertically integrated in 1973. For photos and images related to this topic, visit the photo albums on the Facebook site "From Superstar To Superfund." The new smelter in the Flathead Valley had a successful first few years, exceeding production capacity. Many early managers came from other aluminum plants, and their diverse backgrounds had an international flare. The Anaconda Company moved toward vertical integration by building a rolling mill in Indiana, acquiring Cohran Foil of Kentucky, and investing in other fabricating plants around the U.S. This was in addition to the company’s American Brass plants and its wire and cable plant in Great Falls, Mont. But drought conditions and weak market demand brought curtailments to the Columbia Falls smelter by the end of the 1950s. By the late 1960s, the Big 6 oligopoly dominated the global aluminum industry – three U.S. companies, one Canadian and two European. Bauxite mining spread to Australia, Jamaica, West Africa and Brazil. Three new companies became aluminum producers in the U.S., creating the Big 3 and the Little 3. Market conditions improved through the decade and aluminum production increased. With increasing demand from its own fabricating plants if not the general market, Anaconda Company management first mentioned expanding the Columbia Falls plant in 1960. 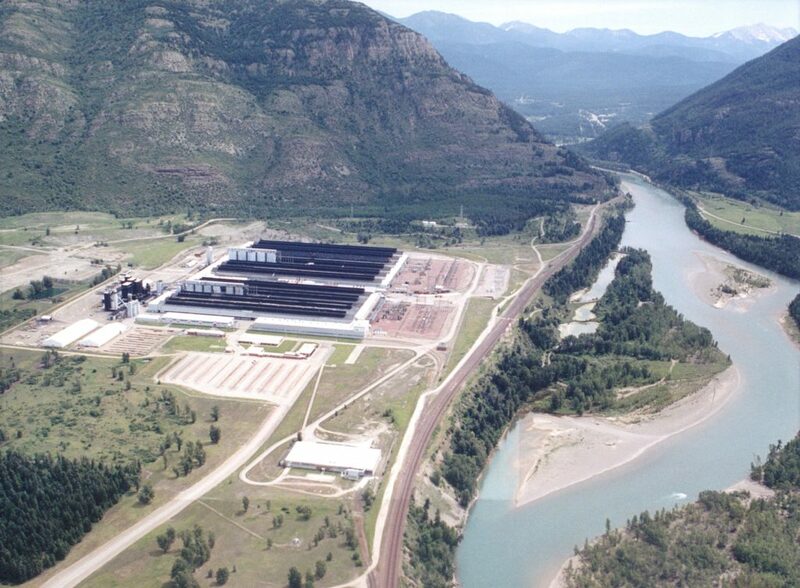 Evolving plans for the Libby Dam in northwestern Montana supported the company’s expansion plans. Potline 3 was in operation in time for the plant’s 10th anniversary celebration, and Potlines 4 and 5 were operating by 1968. A rod mill was also built by 1968. The Anaconda Company continued to acquire fabrication plants in the 1960s to utilize aluminum from the Columbia Falls plant. It also entered into a partnership for a new alumina refinery in Jamaica, built a port facility for off-loading alumina in Washington, built a modern aluminum smelter in Kentucky, and entered into a joint venture for an alumina refinery in Ireland. The company declared itself vertically integrated for the first time in 1973. Meanwhile, rapid expansion at the Columbia Falls smelter impacted local housing, schools and other infrastructure.